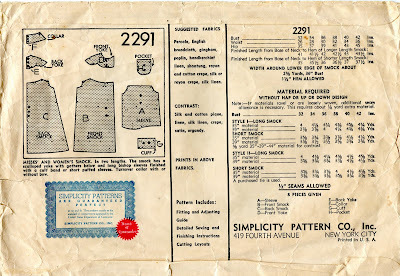 Here's some detail of the instructions for sewing the smock to the yoke. Careful basting would be needed here. This garment just seems to cry out to be made in beautiful Liberty lawn. I find that tracing off patterns from the originals is something I have to be in just the right mood to do,but when I'm in the groove, it's satisfying to get the lines and markings transferred to bright white pattern tissue. I wish I could get away with one of these at work... but working at a radio station doesn't really allow for this even if a little bit of what I do is secretarial-esque. I have to step down my vintage at work so there wouldn't be much point to one of these. I suppose I could make one for crafting and sewing, but it's no fun to wear them when no one is looking! The 1930's may be smocks a bit lush to translate to expectations for office wear for today, but I made up Butterick 1057 and have declared it to be a type of duster, and wear it to work regularly. a garment very similar to this is what my mom wore in the early 60s when she was expecting. I remember her all dressed up with her hair and makeup done. I imagine she might have been going to church but I think she also dressed up pretty spiffy to go to the doctors and to the commissary. Patterns for maternity wear really deserve a study all of their own. I suspect a lot of these smocks were worn for maternity, though this doesn't seem to be called out explicitly in the pattern descriptions until the 1940s - the beginning of the baby boom years. That would be when mom started sewing, age ten. 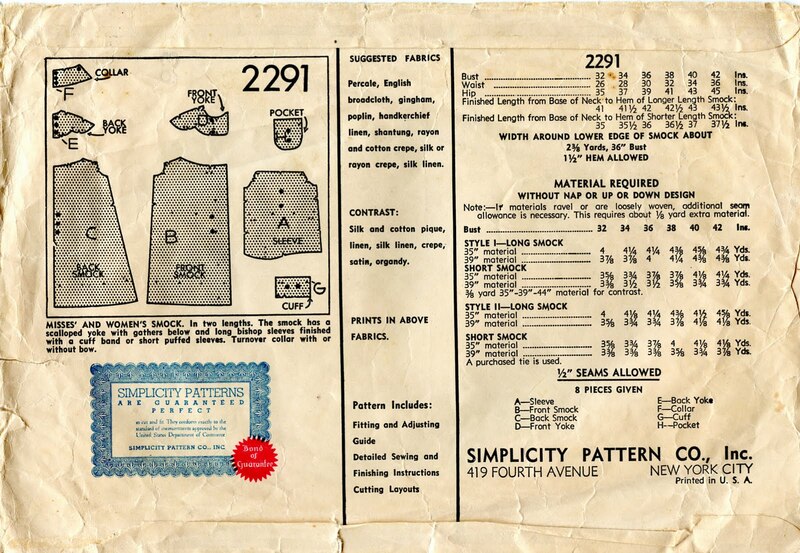 None of the patterns on the site is for sale. Tracings are not available. 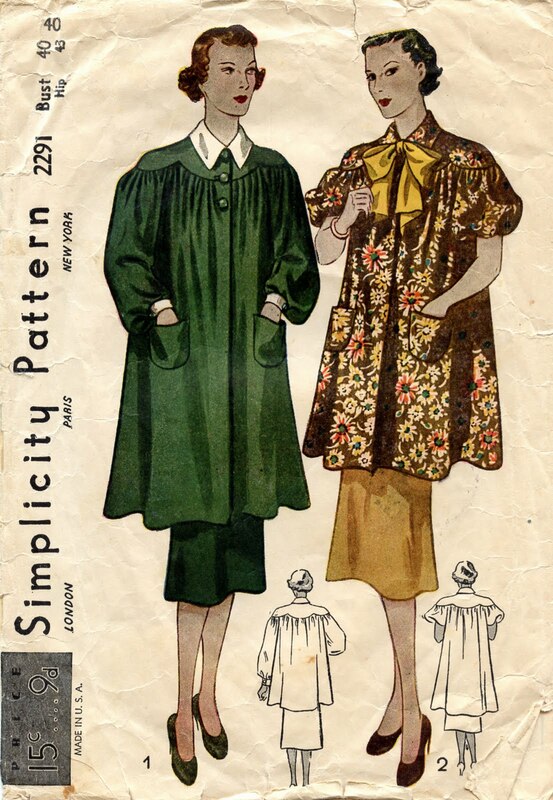 Just found you on-line and LOVE the 1930 patterns...especially the ladies "smocks!" That is a gorgeous smock. I think I'll give it a try with the short sleeves. I love the fullness of the whole design, the yoke gives it a great definition. Another artist's smock for me! Would anyone be interested in making this for me if I pay you?